It's sunny and hot, it's time to think of a refreshing and light cuisine. 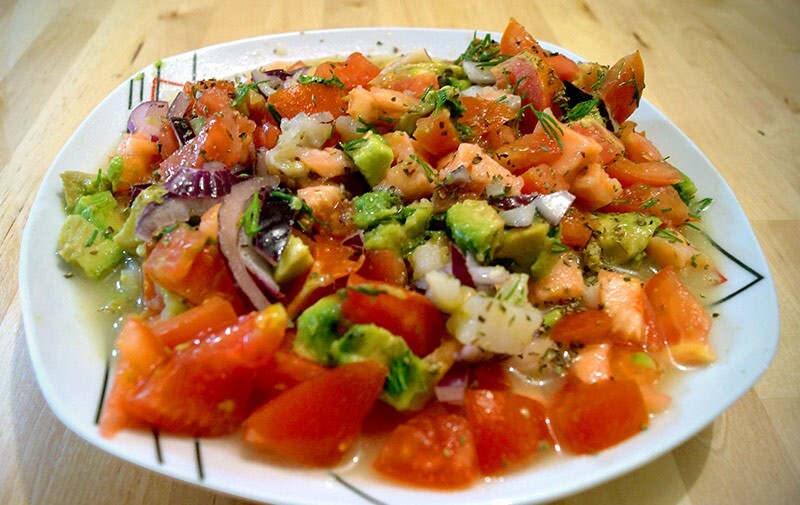 So if you've had enough of the traditional salad, you can prepare a ceviche (pronounced "cevitche"). It is a delicious cold dish well known in Latin America, especially in Ecuador, Peru and Mexico. If you like sushi, there is great chances that you like ceviche! This yummy recipe uses lime juice to cook the raw seafood. Attention: You must leave the ingredients to marinate for 8 hours or overnight, so plan a little in advance the day when you will want to taste it. First, rinse your seafood and place in a medium bowl. Pour lime juice over the scallops/fish. The seafood should be completely emersed in the lime juice. Chill the lime juice with seafood in the refrigerator for atleast hours or overnight until the scallops are opaque (you cannot see through them). 20 minutes before removing the scallops from the refrigerator cut all your other ingredients. peeling the avocado and cut it into small cubes. Remove the scallops marinating in the lime juice from the refrigerator and empty 1/2 of the lime juice from the bowl. Add tomatoes, green onions, celery, green pepper, avacado, red onion, parsley, black pepper, olive oil and cilantro to the lime juice and scallops. Serve this dish in fancy glasses with a slice of lime for a lovely presentation. And now, your ceviche is ready to be served! This is a refreshing summer salad.